As we move on to month two of the Switch & Save Challenge, I’m now reviewing my second product sent to me by the awesome people at ARM & HAMMER. 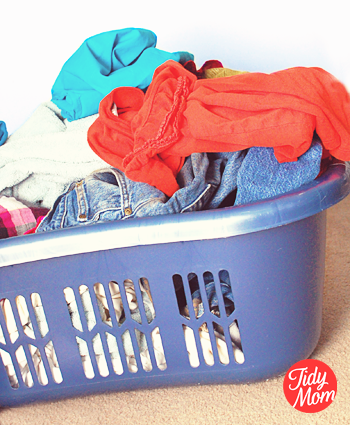 As any mom knows, kids and laundry go hand in hand……..there’s just no avoiding it. It’s the ONE thing I can count on Every. Single. Day. – well, that and a sink full of dishes. – Seriously, you think all these people do is eat and play! Even with our family of four, I have a few loads of laundry a day. Kids are great for tossing everything that touches their body into the dirty clothes, even if they had it on for an hour. Then there’s my husband……he has a dirty job, and during the sweaty summer months he will often come home and change in the middle of the day, then again when he get’s home. I’m faced with the challenge of sweaty, dirty clothes in the laundry basket on a regular basis. Let’s be honest, laundry is not one of my favorite jobs. 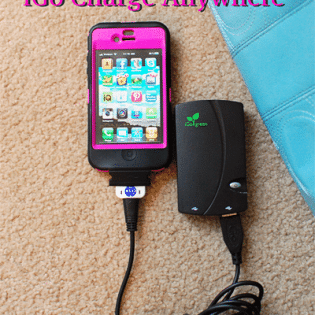 So, I love when I can find more kids products that can make that daunting task a little easier. 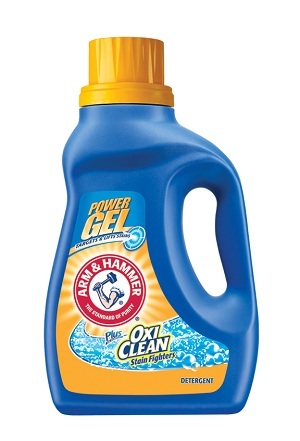 Since I’m pretty sure I wont be having any more kids to help with the laundry (or another husband), as a part of the Switch & Save Challenge, Arm & Hammer has given me another product to use this month, and it’s for the laundry room—Arm & Hammer Plus OxiClean Power Gel Laundry Detergent. Next week I will share how my laundry team put Arm & Hammer Plus Oxiclean Power Gel detergent to the test and I will have another $25 Visa gift card to giveaway!! I’d love for you to share what you look for in a laundry detergent? Scent? 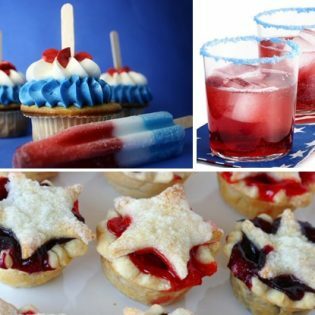 stain-fighting power? color safe bleach? brand? cost? What’s most important to you? oh, and………DO YOU LIKE to do LAUNDRY? Disclosure: This is a sponsored post for Church & Dwight Co., Inc, the maker of ARM & HAMMER branded products, who is compensating me to try different products. Save $1.00 on any 2 ARM & HAMMER Laundry Detergents. then head over to The Switch & Save Challenge where you can enter to win $25,000.